PrinsBank was established in 1916 to serve the needs of our local communities. We offer a variety of banking products and services to meet your financial needs. We are proud of our ability to provide full-service banking with prompt, local decision making from people who know you. We will match you with a product or service that meets your financial needs. 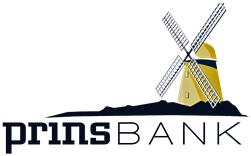 PrinsBank offers several different retirement plans. From traditional IRA's to Roth IRA's learn how PrinsBank can help you with all your retirement needs. PrinsBank’s HSA is an interest-bearing account designed to give you control over healthcare expenses—allowing you to save for current and future medical expenses. At PrinsBank we understand the importance of our local farmers and the agriculture market. Explore how PrinsBank can help finance your needs for success.